Catch the breezy air, play and hop with the spring birds and enjoy the pleasure that comes with spring in the Lake District. Let’s take a look at what a spring holiday in the Lake District looks like. The shores of Ullswater in the north Lake District is the place to be to see the region’s famous daffodil displays. There are over 13,000 different varieties of daffodil but it is the petite native Wild Daffodils, smaller in height and with pale outer petals around the bright yellow trumpet, that distinguishes William Wordsworth’s ‘Narcissus pseudonarcissus’ from more common species. Explore the shore of Ullswater in the north Lake District to enjoy these cheery spring characters. Just outside of Ambleside, in Rydal is the National Trust owned Dora’s Field. Visit in spring to see the blooms and heady scent of hundreds of daffodil bulbs planted by William Wordsworth and his wife in memory of the tragic death of their beloved daughter, Dora. You’ll also be treated to a carpet of bluebells during a walk through Dora’s Field, which is located next to St Mary’s Church at Rydal. From here, why not extend your visit to enjoy a spring walk by following the public footpath to Dove Cottage, where the Wordsworth’s lived for 14 years in Grasmere. This is a beautiful walk in the spiritual heart of the Lakes and at this time of year you can see why the Lake District is #theplacetobe. The weekend of the 12th and 13th May 2018 sees the dog friendly Spring Fair arrive at Whinlatter Mountain Forest, in the north Lakes. The Lake District has a wealth of artistic produce and what better than getting to talk to the artisans themselves at a proper country fair. There’s a huge outdoor adventure play area at Whinlatter too, WildPlay, which offers 9 separate outdoor play adventure courses spread over a 600m long trail. Much of it is wooden and involves water play, and so spring is the perfect time to enjoy this popular family attraction. 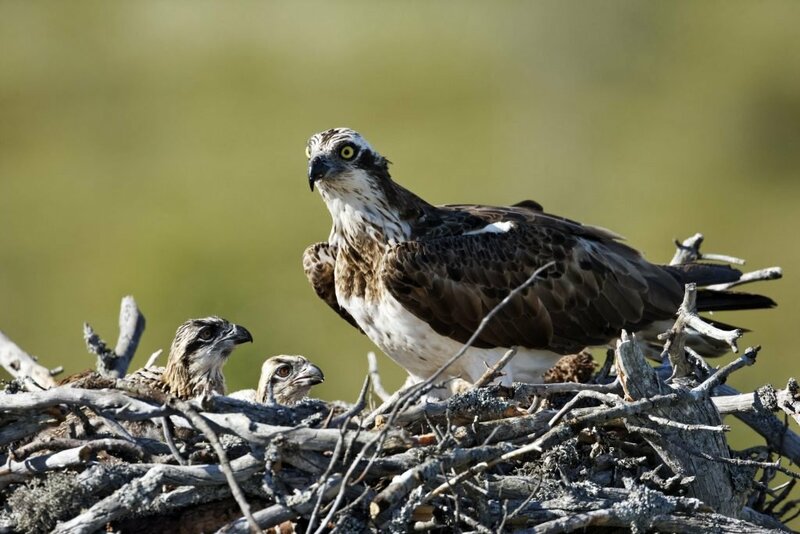 Osprey number 14 is currently making his way back to Bassenthwaite from the Island of Bioko too, so come and look out for him this spring. 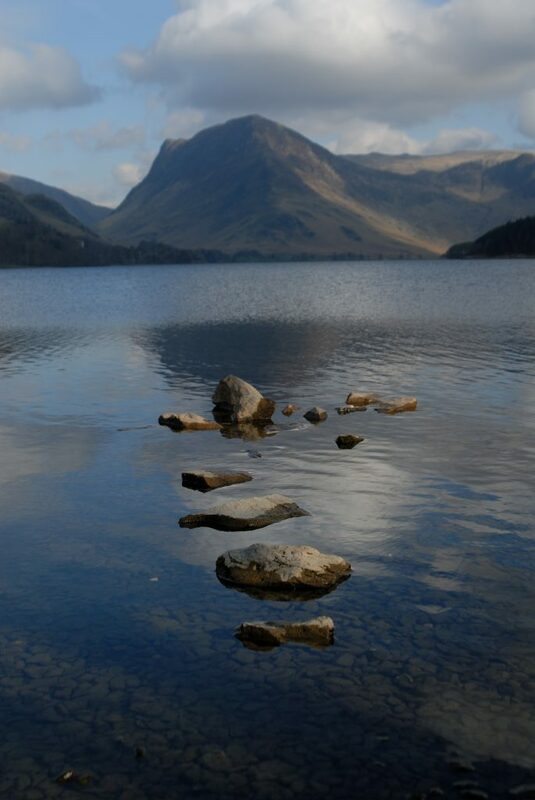 #7 on ITV’s Britain’s Best Walks is the peaceful 3-hour Buttermere Round. Dogs must be kept under control, ideally on a lead, at this time of year as the shore of Buttermere is a heaven of new life. Have a look at this National Trust video of spring wildlife in Buttermere. We wonder if bacon – his favourite food apparently – will feature during this one-off night of live cooking from Whiteaven’s celebrity chef, Ricky Andalcio. Tickets are available for non-members too and this night guaran’tees’ entertainment! Golfers will be pleased to know that you can add an exclusive £30 per person voucher for Windermere Golf Club when you book your holiday cottage online with Lakelovers. When the skies are clear, rain falls in light showers and there’s a gentle breeze, spring is the perfect time to test your kite flying skills. Bring a kite to Crow Park on the shores of Derwent Water Keswick, and visit the new plaque opened by HRH Prince Wales to mark the Lake District officially a World Heritage destination. See the beautiful spring blooms of apple blossom and tulips at Hope Park too, whilst you’re visiting Keswick. Now is the time to get out your camera and snap the famous flower displays at Holker Hall & Gardens. Holker Hall have a busy events calendar, with various spring activities for families and for their Spring Fair is popular with foodies and horticulturists alike. Have a look at their Facebook page for more information and don’t forget your camera ! 4-miles south of Kendal in the South Lakes, this National Trust owned castle and garden is everything you’d expect from an English country garden. It is dog friendly and the 1600 acre estate provides lots of walks and point of interest. Note that dogs are not permitted in the formal gardens but free to roam the wider estate. The cafe offers a lovely spring menu. With spring comes the melting of the Lake District’s beautiful mountains and so the perfect time to get amidst England’s highest peaks. The most popular and most difficult up Helvellyn is up Striding Edge, but if planned on a clear spring day you’ll be rewarded with stunning views of Ullswater. Follow our guide Britain’s Favourite Walk. Arrive via Windermere Lake Cruise and take in the warmer weather with some excellent family friendly outdoor activities at Brockhole on Windermere. Cycle hire and pony rides are a great way for families to get into the Lake District countryside and discover some spring sights, such as lambs, ducklings and daffodils. No more looking longingly at the ropes, net and swings high amongst the trees. The dryer weather means it is time to get high amongst the canopy with Treetop Trek and enjoy the leafy wonder as the Lake District greenery starts to unfurl. On the ground, mini golf is back open at Brockhole and a giant Peter Rabbit sculpture in wood has come to celebrate.